At Witherington Law, PLLC, in Nashville, Tennessee, we are fully committed to helping you obtain the finances you need to support yourself and your family after suffering a debilitating injury or devastating loss caused by someone else's negligence or wrongdoing. Handling all types of personal injury and wrongful death claims, attorney Patrick Witherington has achieved notable success advocating on behalf of those in need. An attorney since 2002, he possesses the experience and resources necessary to help you find the justice you seek, and he established our law firm in order to deliver the highest level of representation possible to those living across Middle Tennessee, including Clarksville, Lebanon, Dickson, Murfreesboro and all the surrounding communities. Peer-review rated AV Preeminent* through Martindale-Hubbell, Mr. Witherington is a highly ethical attorney you can trust to help you protect your rights, preserve your entitlements and secure a brighter future. Through his efforts, he has helped establish our law firm as one of the top personal injury practices in the region, and we receive many positive reviews and referrals from those fully satisfied with the personalized attention and compassionate support we provide. 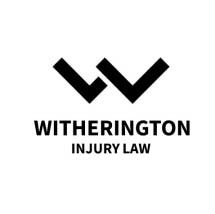 Whether your injury or loss is the result of a motor vehicle accident, a defective product, a slip-and-fall accident or some other preventable tragedy, you owe it to yourself and your loved ones to contact Witherington Law, PLLC, to find out more about how we can best serve you. Our law firm offers free initial consultations, and we will not require a fee from you unless we recover compensation on your behalf.